How to find every Jigsaw Puzzle Piece on the Fortnite map. This Fortnite guide outlines all of the jigsaw puzzle piece locations for the Season 5 Week 10 Challenge. One of the new challenges in Week 10 of Fortnite Season 5 has you scouring the map in search of basements that contain a piece of a jigsaw puzzle. You'll need to find seven of these in total if you want to tick the task off your list. In this article, we've highlighted all of the currently known spots where you can pick up these puzzle pieces. If more locations emerge then we'll update our guide, and do let us know in the comments if you've found any extra spots yourself. Greasy Grove - If you head to the north-west section of town you'll find a burger bar. Go inside, then past the tills, and then go deeper into the basement to get the next piece. Coast #1 - Head directly south of Greasy Grove and you'll eventually come to a building right on the coastline. Search the basement for your next collectible jigsaw puzzle piece. Risky Reels - Right between Risky Reels and Tomato Temple is a building with a cellar door located outside. Break it open, get down in the basement and you'll find another jigsaw puzzle piece. Salty Springs - There are two buildings to the far-left of this area and the upper-most of the two has a basement with a puzzle piece in it. 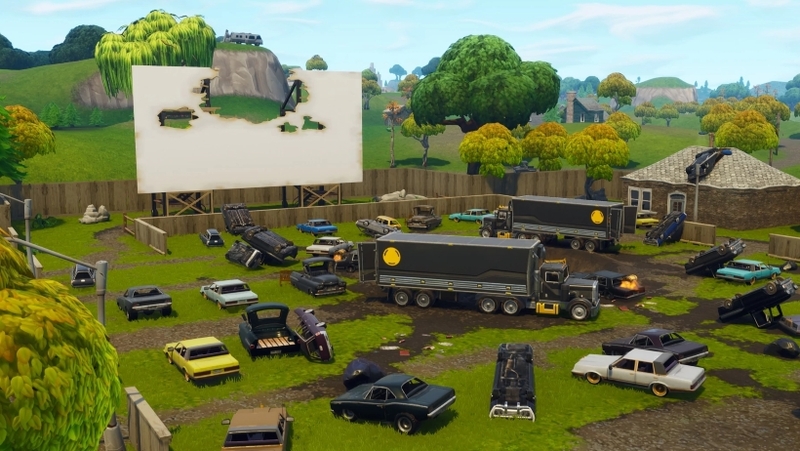 Shifty Shafts - North-west of town is a house that has a basement containing movie camera equipment, a desk and some old washing machines. It's down here that you'll be able to get another jigsaw puzzle piece. Snobby Shores - Look just above the name of this zone on your map and you'll see a house with two trees to the right of it. Head inside, go into the basement and get your jigsaw puzzle piece. Coast #2 - Head south from this zone until you're on the coast. You'll see a building with a basement that can be accessed from outside the house. Smash your way in, head down the stairs and then grab your jigsaw puzzle piece.